You may think that online casino games such as roulette, blackjack and slot machines are subject to luck, but there is also an element of strategy involved in some casino games. If you are savvy enough to work out these strategies, you can begin to swing the luck in your favor. You should only use online casinos that have the eCommerce and Online Gaming Regulation and Assurance (eCOGRA) “Play It Safe” approval. This is a non-profit agency that regulates the online gaming industry and requires online casinos to meet certain standards with regards to payments, storing information and behaving in a responsible manner. It is vital that you only use online casinos that are approved by eCOGRA as you can then be confident that the website is above board. In addition to the eCOGRA seal of approval, you should also check that the online casino has been licensed by the Kahnawake Gaming Commission as this ensures that its games are fair and that players are paid their winnings. Many online casinos offer introductory bonuses to entice new members to sign up and deposit or to reward existing customers for their business. 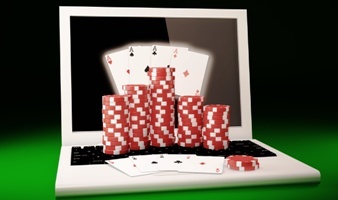 If you were already planning to deposit money into your online casino account, these offers will increase the amount of money that you have to play with. However, do not be encouraged to deposit money just to take advantage of an offer. Read the small print before you commit yourself, as it is not uncommon to find that bonus offers are attached to some less than favorable rules. For example, it may be the case that you have to deposit and play a specific amount before you can withdraw any winnings, and this amount can be as much as ten times bigger than the bonus amount. In this type of situation, it probably is not worth it. It is tempting to dive straight in and push your luck on the casino games, but this will invariably end in disaster if you have not taken the time to acquaint yourself with the rules of the game(s) and used free games as a platform on which to practice your playing strategy. Free games are an ideal opportunity to test out playing strategies without sacrificing money in the process. Playing casino games may be a game of chance, but it is possible to create your own luck through playing strategies on certain casino games. 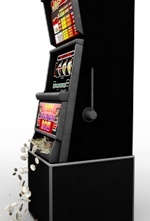 Here are a few playing strategies for specific casino games. Get advice from good online casino sites like Gamblersupdate.com and be careful you don’t get addicted read more at begambleaware.org.